Awake & Moving: Restocked The Online Shop With Freshness. Restocked The Online Shop With Freshness. New stickers in the shop, CLICK HERE! 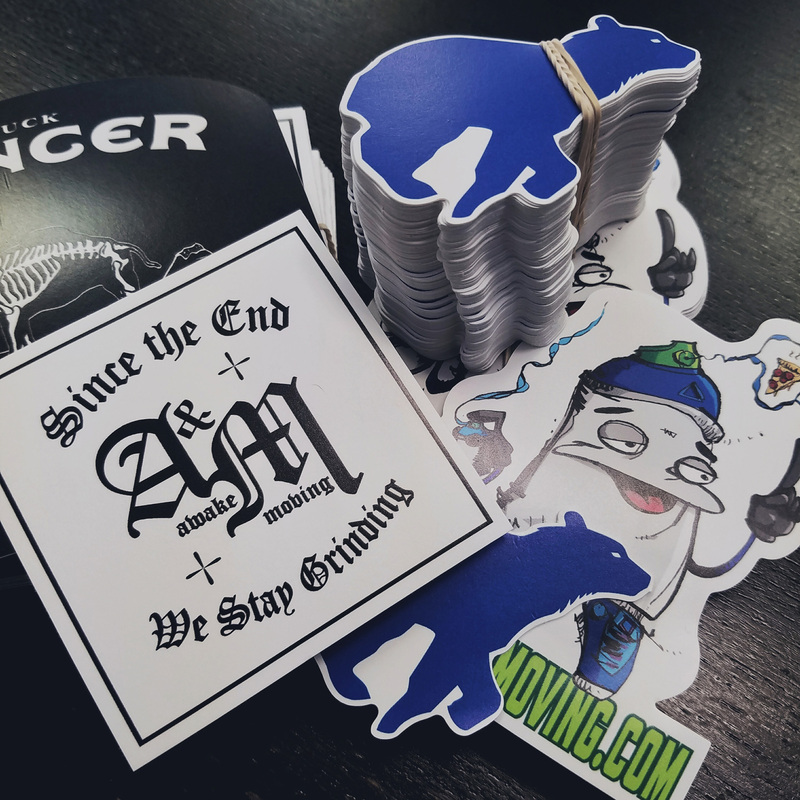 Just packed the shop with a ton of new stickers and restocked some older stickers as well. I ship internationally, including all other products, so be sure to stack up or split an order with some friends to save on shipping. Get a few extras for your friends! Be sure to tag @awakeandmoving #stayawakeandmoving in your photos, I love seeing where people decide to stick 'em. I got something special planned for the shop next week so be sure to keep an eye out. Until then, thank you for your continued support, I'll be seeing you soon!